TM vs. R – Which Is Right for My Trademark? What’s the difference between TM vs. R? Do trademarks need to be registered before being claimed as trademarks? What is a trademark—and what isn’t? The decision to use “TM” or “R” is not an arbitrary one; there are federal restrictions on the use of trademark signifiers, and it’s important to be aware of these restrictions so that you aren’t inadvertently breaking the law while attempting to protect your trademark. Anyone can use “TM” (™) to claim rights to a trademark—no registration required. Simply by using a trademark, you may claim some rights to use your trademark in connection with your goods (trademark) or services (service mark or SM). While unregistered trademarks are not provided the same legal protections as registered trademarks, they are, in most states, provided some common law rights in the geographic location of use. The result of this is that there may be multiple companies or brands using a trademark in the same country—or even in the same state—across multiple industries. Trademark registration is not strictly necessary. However, registered trademarks are much easier to defend against, as any legal action you may take to protect your trademark rights is backed up by a federal registration showing you to be the legal owner of the trademark. 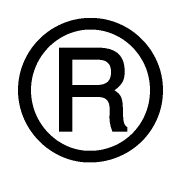 The “R” symbol (®) is only to be used on trademarks that have been registered with the US Patent and Trademark Office. Using the registered trademark symbol without first registering the trademark is a federal crime, punishable by fees or jail time. It is important to understand that a trademark application can take up to one year—sometimes longer—to be processed by the USPTO. 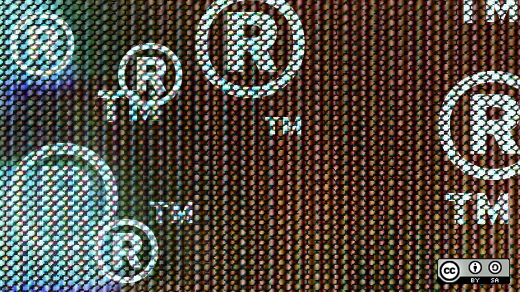 A pending trademark application is not considered a registered trademark; during the application process, “TM” (or ™) must be used rather than “R” (®). Only once the trademark application has been accepted and placed on file can “R” be used. While placing a trademark notice on your trademark is not a legal requirement, it’s generally a good idea to identify your trademark as such any time it appears—in print, onscreen, or in any other context. Without a trademark notice, there is a possibility for a trademark infringer to claim that they were not aware that you had previously claimed rights to that trademark, especially in cases where you have not registered your trademark with the US Patent and Trademark Office. A proper trademark notice should be “affixed” to your goods or services for which the trademark is claimed. For physical products, you should place your trademark notice on the packaging, tags, labels, or the product itself. For services, your trademark (or service mark) should appear on any promotional materials, advertisements, signs, company letterhead/stationary, and other materials. Note: Proper use of trademarks can strengthen your legal claim to your intellectual property rights. It’s important that you speak with a trademark lawyer to fully understand your rights as they relate to your industry, state, and use. Did you know? Click&Copyright now registers trademarks!